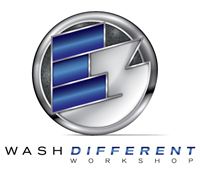 This year's Wash Different Workshop Sept. 22-23 features an in-depth look at ICA's latest Consumer Study along with a deep dive into how to use that information to market to consumers. Plus, this year we've added Car Wash Tours to the program! If you want to better understand and market to consumers, you don't want to miss this event! Visit http://www.carwash.org/e3-series/wash-different-workshop to view the full article online. Vendor members of International Carwash Association can now register for this year's Supplier CEO Summit. All ICA vendor members are encouraged to attend. Part of the E3 Series designed to enhance, educate and engage, this year's program will feature Brian Beaulieu of ITR Economics. In addition you will tour the new Music City Center in downtown Nashville (location of The Car Wash Show 2016), receive an overview of ICA's soon-to-be published Consumer Study, and hear about Car Wash Show Europe and other ICA programs and events. 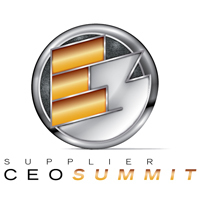 Visit http://www.carwash.org/e3-series/supplier-ceo-summit to view the full article online. Selling the family business: legacy or leftovers? Family business owners who are considering selling are often discouraged by the question, ‘what will I do now?’ according to Dr. Tom Deans, former business owner and author of Every Family’s Business. In an interview, Deans said that owners’ identities often get so wrapped up in the business that they find it difficult to imagine life after the company is sold. Visit http://www.theglobeandmail.com/report-on-business/small-business/sb-managing/succession-planning/selling-the-family-business-legacy-or-leftovers/article19584566/ to view the full article online. Building a successful small business is somewhat like being a parent. You start with an infant enterprise that needs constant attention and often deprives you of sleep. You foster it through various stages of growth. And eventually, you may rely on it to carry on your legacy and take care of you financially. Making that transition from taking care of your business to having the business take care of you is the purpose of succession planning, which helps ensure the orderly transfer of a business to the next generation. Visit http://rapidcityjournal.com/business/kahler-when-you-retire-business-needs-a-succession-plan/article_af876c5d-7cbd-51e1-a703-988412d470f2.html to view the full article online. It’s rare for a business to get off the ground without a couple of hiccups or blunders along the way. In fact, many make deadly mistakes that leave them with no other option than to shut their doors for good. Founder and chairman of global business coaching franchise ActionCOACH, Brad Sugars shares three top business mistakes SMEs make. Visit http://www.destinyconnect.com/2014/07/22/top-three-business-mistakes-smes-make/ to view the full article online. Starbucks recently hiked prices for its coffee by a small amount, upsetting some devoted coffee drinkers; however, Piper Jaffray analyst Nicole Regan says the company is still well positioned to manage any price increases due to its "industry-leading brand equity" and "menu pricing power." Find out what small businesses can learn about pricing from Starbucks'example. Visit http://qz.com/237809/starbucks-can-raise-prices-for-your-coffee-and-get-away-with-it/#/h/88068,1,2,88071,1/ to view the full article online. Here's a shining example of a good neighbor. For the seventh consecutive year, Sam's Car Wash in Lexington, NC, will host a summer food drive for Pastor's Pantry. Visit http://www.the-dispatch.com/article/20140714/LIVING/307149994 to view the full article online. In late spring 2014, Clean Image Car Wash made the decision to update their facility’s signage. Their static services board, located at the entrance of the car wash, required regular upkeep due to weathering and consistent service changes. In addition, each and every promotion designed to increase sales and upsells at Clean Image Car Wash required the printing of a new sign and manual removal and replacement of signs on a regular basis. Visit http://www.avnetwork.com/av-technology/0002/peerless-avs-digital-menu-at-clean-image-car-wash/93443 to view the full article online. Local police and firefighters on Friday recognized Blue Diamond Auto Spa and its employees for their heroism during a June 30 car crash that injured motorcyclist Harold Watts. Fifteen employees at the recently-opened car wash were honored for lifting a passenger car off Watts and moving him to a safe location following the crash. Visit http://www.daily-times.com/four_corners-news/ci_26155307/farmington-car-wash-employees-honored-heroism to view the full article online. It’s not every day you hear about businesses giving away their services and goods basically for free. But on Wednesday, that’s what was going on at Clear Sunset Carwash in Bradenton, FL. Cars were soaped up, scrubbed and cleaned for just a dollar. It was a good deal given to customers to support a good cause. Visit http://www.baynews9.com/content/news/baynews9/news/article.html/content/news/articles/bn9/2014/7/16/bradenton_car_wash_g.html to view the full article online. A vehicle maintenance business is reaching out to communities across Canada as they attempt to break the world record for the most vehicles washed by an organization in one day. On Saturday, from 9 a.m. to 5 p.m., Krown Rust Control hopes to wash more than 10,000 cars with the Wash for a Wish Car Wash, raising more than $100,000 for the Children’s Wish Foundation of Canada. Visit http://blogs.windsorstar.com/news/canada-wide-car-wash-looking-to-break-world-record to view the full article online. The new Super Shine Express is getting ready for its grand opening and at this car wash, it's not just the cars that will be getting a fresh look. Knoxville Graphic House was contracted to paint a mural on the building's exterior. Visit http://www.wbir.com/story/life/2014/07/16/car-wash-gets-a-fresh-look/12750979/ to view the full article online. Mark VII Equipment Inc. today announced that CEO Steve Jeffs will retire at the end of 2014. Visit http://carwash.org/news-landing/2014/07/22/mark-vii-ceo-steve-jeffs-to-retire-at-end-of-year to view the full article online.